The month of December is always a busy one. Christmas parties, meeting up with friends and of course, the dreaded Christmas shopping. With your time so stretched you really want to make the most of the few December weekends. Here’s my pitch as to why you should visit Birmingham this Christmas. Located in the Midlands, the second city is exactly what it says on the tin – in the middle. It’s easily accessible with good transport links and isn’t too far from anywhere! 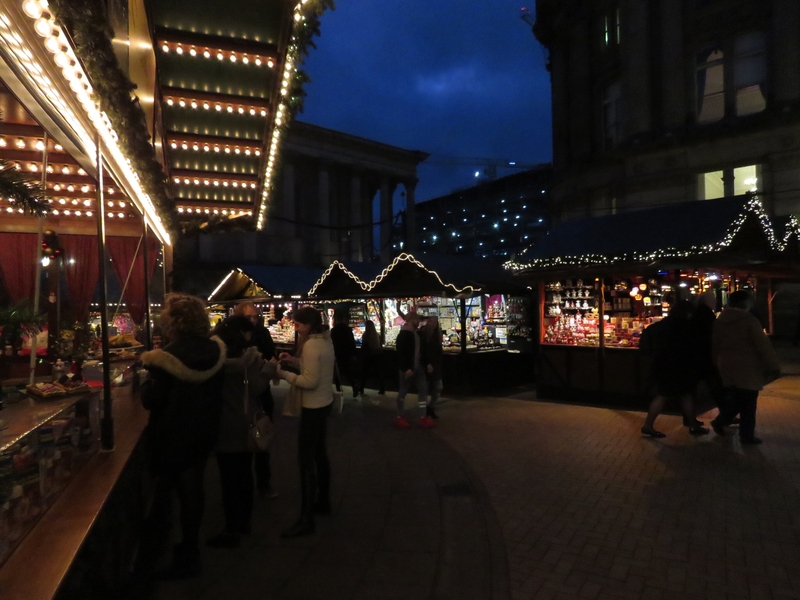 Twinned with wonderful Frankfurt, every year a huge German Christmas Market descends on the streets of Brum from late November until Christmas. The biggest in Europe in fact. Open from 10-21 daily vendors sell Christmas trinkets and German food and drink. Now, do not assume this is a vegan haven. There’s a lot of bratwurst going on but not a vegan (or even veggie) sausage in sight. Poor show Frankfurt. I did manage to find some Lebkuchen (chocolate coated ginger biscuits), though they don’t really compare to the gooey nutella and banana crêpes on offer. 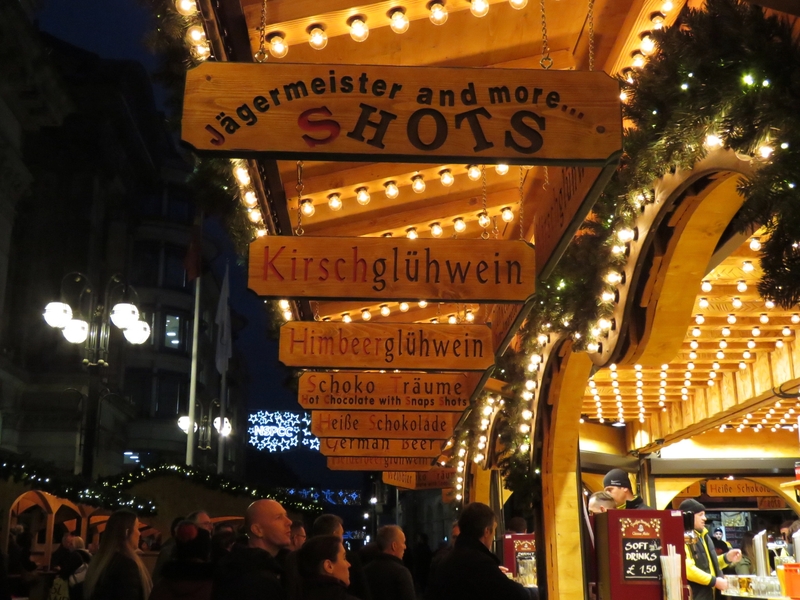 There’s a great atmosphere at the German Market and it’s definitely worth a visit. If you can, I’d avoid going at the weekends as it really does get swamped with visitors. Of course that’s not always possible, so go prepared to be squished and enjoy the German festivities. If you’re looking for something a bit more kid friendly, wander ten minutes over to Eastside City Park where you’ll find a mini fair. 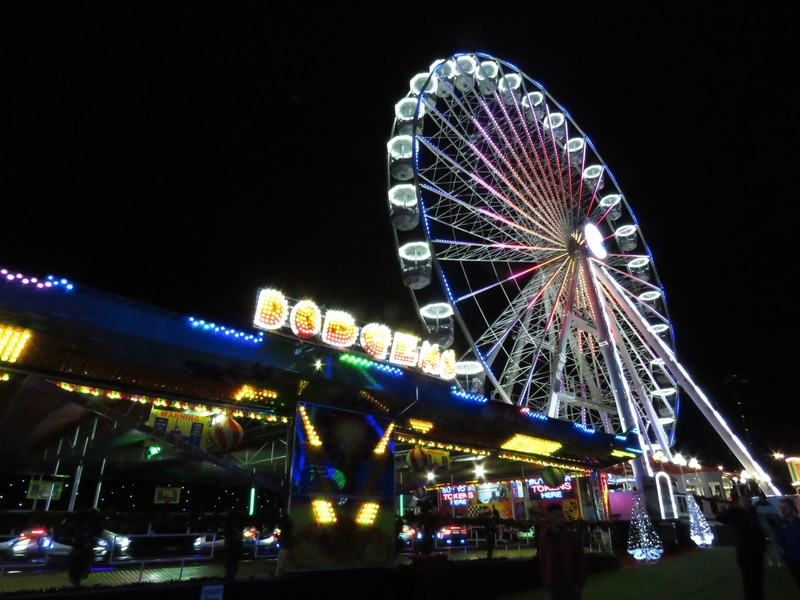 Ride the the big wheel, take your chancss on the dodgems or glide across the sheltered ice rink. Again, not great for vegan food but the city centre isn’t far. The fun fair is open 10-22 daily until 7th January. To skate, it’ll cost you £9.50 for an adult and £7.50 for students and a ride on the Big Wheel £5. However, you can buy a ticket for both attractions at £10 per person. And finally, if you’re needing to buy some last minute Christmas gifts you have the Bullring Shopping Centre right around the corner. Will you be visiting Brum this Christmas? I visited Birmingham once for their Cadbury factory visit.. It’s a really cute experience in there!